Michigan trout fishing comes in many shapes and sizes. 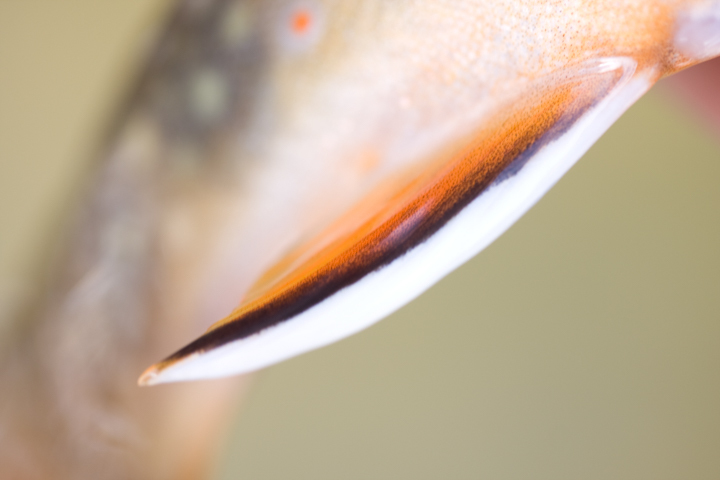 For instance, steelhead and lake run browns to small wild brook trout and everything in between. Consequently, Michigan trout fishing is fantastic. 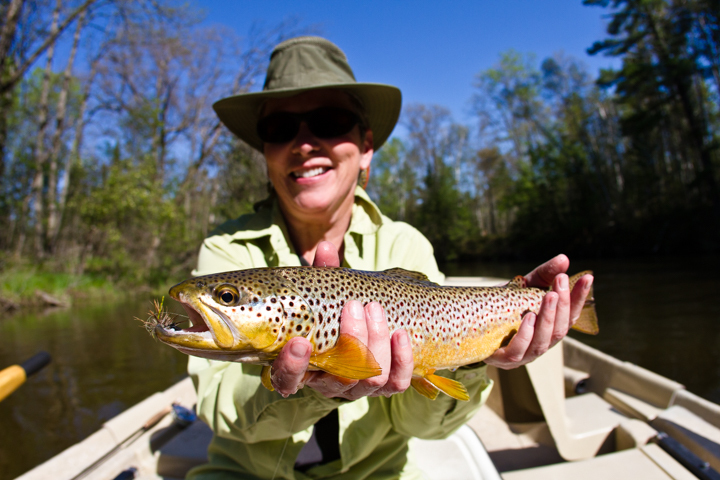 When it comes to fly fishing, Michigan trout fishing really excels. 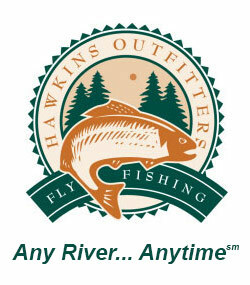 According to the Michigan DNR there are around 20,000 miles of coldwater trout streams in the state of Michigan. The state rates 850 miles of these streams as excellent fly fishing streams. They picked these waters for hatch quality, wadeability, excellent wild trout populations and a history of quality fly fishing. These are the best waters to sample Michigan trout fishing. When an angler goes Michigan trout fishing he or she should be prepared to fly fish with any method appropriate to catch fish at that time of the season. Different waters and different dates require an angler to be able to fish dries, streamers and nymphs. Fishing with different methods usually means using different line weights. Many anglers try to fish with just one rod but would be better served with several different line weights for different conditions. I like to use a 5 or 6 weight for dry flies and nymphs and a 7 weight to streamer fish. Steelhead will necessitate a heavier rod, usually an 8 weight. I’m often asked what is the best time of year for Michigan trout fishing. I’ll try my best to break down for you. However understand that much of these times can be affected by weather conditions. Steelhead are in our rivers from Sept to May with March and April being prime spring times. In fall October, November, and December are the very best. Lake Run Browns are around in October and November too. An often overlooked steelhead prime time is winter. We run a half day special December through February. On decent weather days we have excellent success and have the river to ourselves. 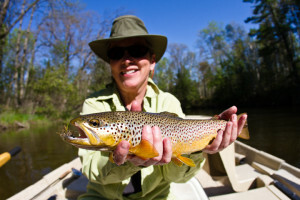 Resident trout fishing starts heating up the end of April. 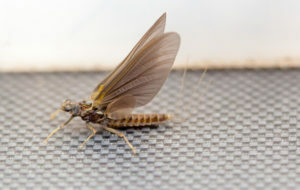 Most of the fishing in very early season is with nymphs or streamers. Around the end of the first week in May the bugs start hatching beginning with the Hendricksons. Hatch activity continues in earnest through the 4th of July. 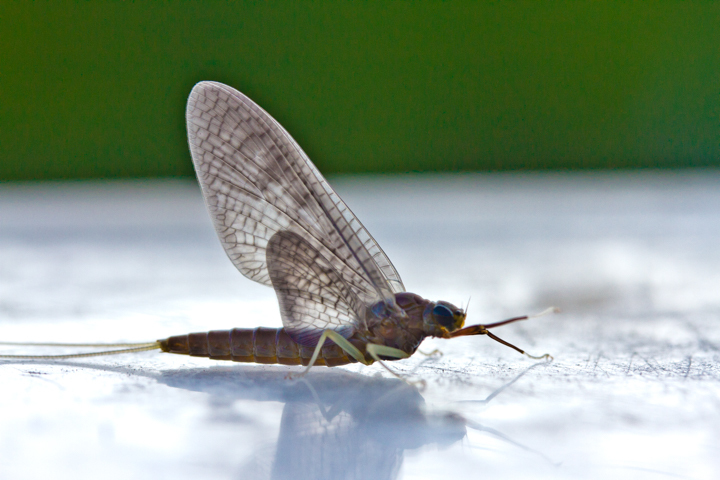 After the fourth most of the bugs that hatch are small and don’t move many larger fish. That signals the beginning of terrestrials! All through summer we throw foam creations looking for fish to make mistakes. After that, as summer winds down, and as we go into pre and then post spawn, streamers can again become important. Michigan trout fishing enjoys a long season. Much of the best water in the state is open all year. The Manistee, AuSable and Pere Marquette Rivers all have stretches that are open all year. Therefore, depending on the winter, it is possible to have some great days on the water from December through March. In conclusion, hire a quality guide and give Michigan trout fishing a try. You won’t be disappointed.